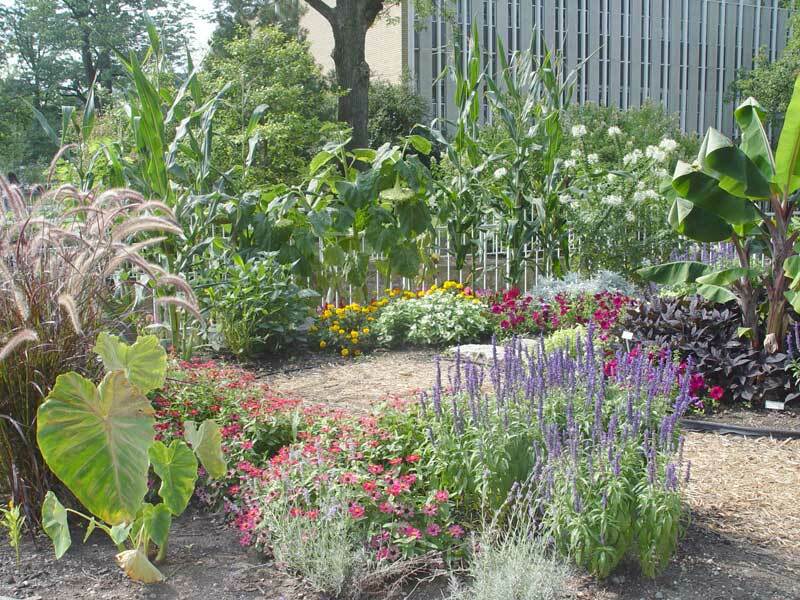 Nestled between the Thut Greenhouse and Life Science buildings is the most beautiful hidden garden you (might) find on campus. 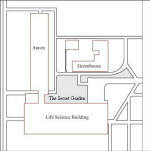 The garden is concealed from campus view by adjacent buildings and is accessible from the main campus through a narrow passageway between the Life Science Building and Annex. 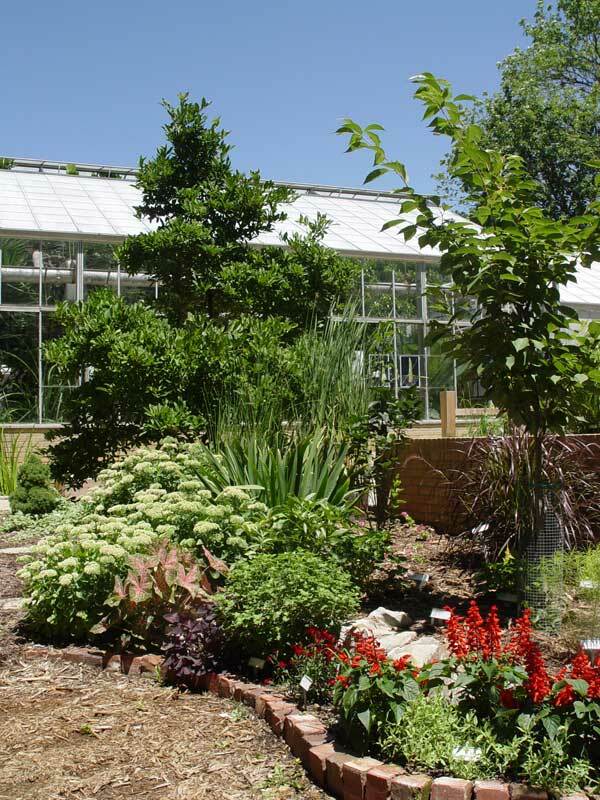 The Secret Garden is a collection of nearly five hundred plant species and cultivar specimens growing in a diverse series of garden settings. 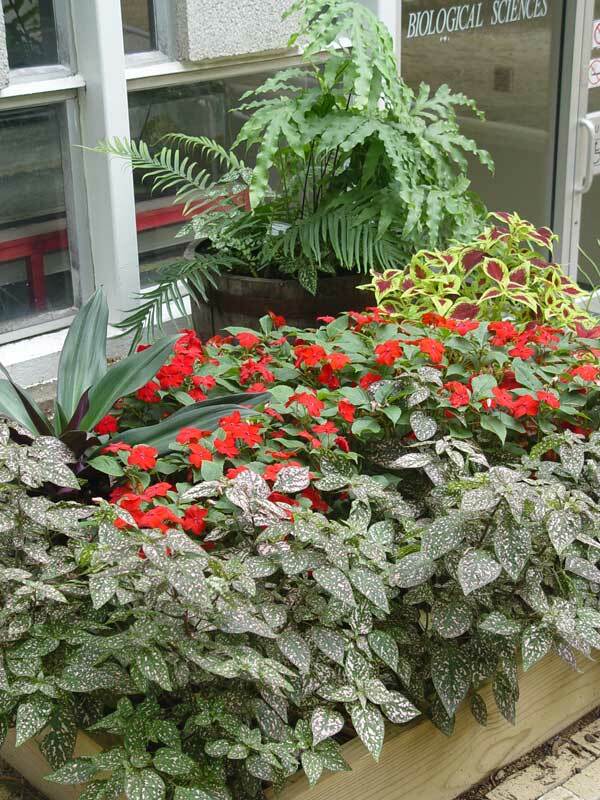 These gardens range from full-sun to full-shade environments containing native and cultivated plants, perennials and annuals, flowering and foliage plants as well as trees and shrubs. Many of the plants are labeled. 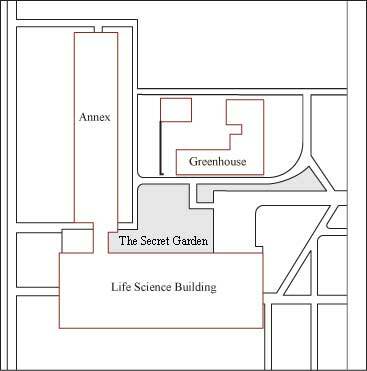 The secret garden has been under development since 2004 and will continue to grow, change and expand. 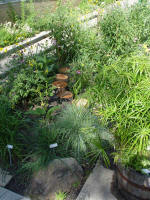 Each garden area has its own personality and is an ongoing work in process. 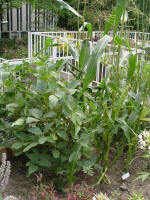 But then, isn't every garden a work in progress? I hope you enjoy your visit. Urban Bright. 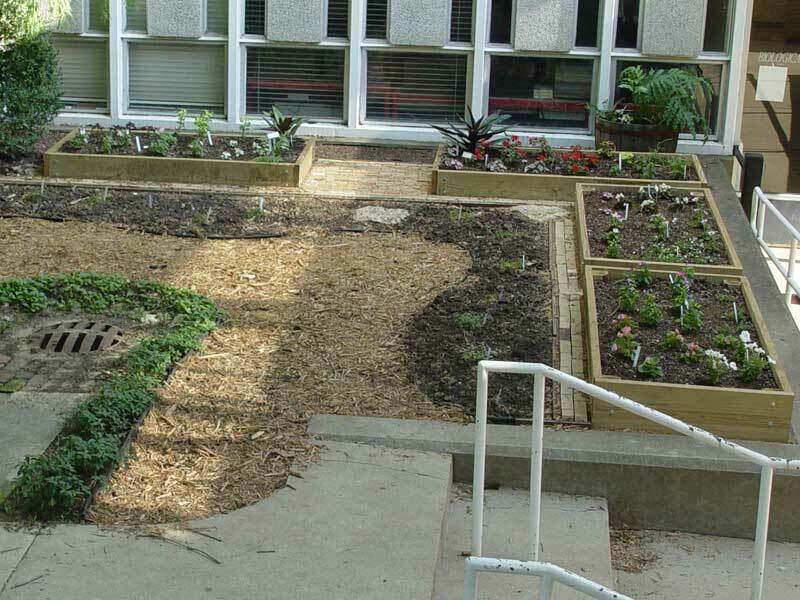 On the south side of the greenhouse wedged between the building and sidewalk are a series of raised beds and buried tubs. On the west end, tubs provide a wet environment for native plants that love the full sun but also like having their feet wet. Other native plants that prefer having their feet dry are growing on the east end. 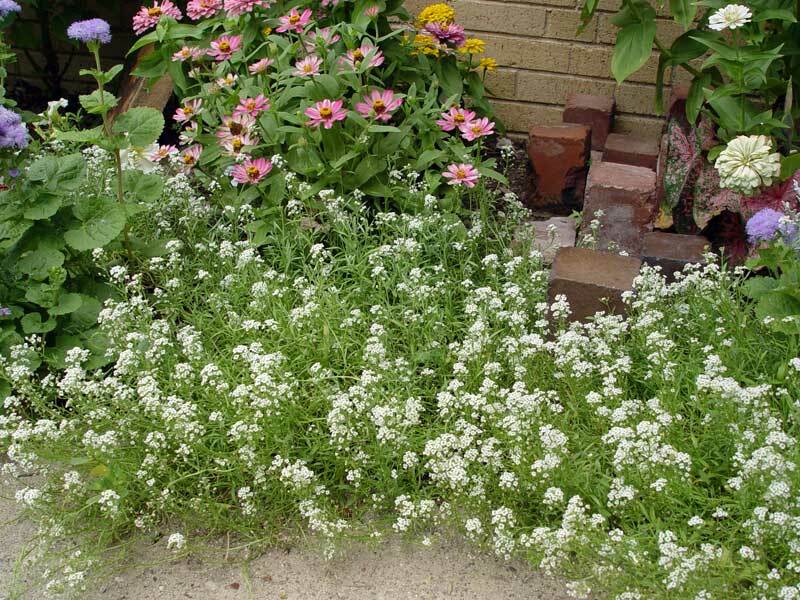 Between these two native plant micro-gardens are three raised beds overflowing with full-sun annuals that brighten and soften this narrow patch confined by brick and concrete. Sunny Disposition. 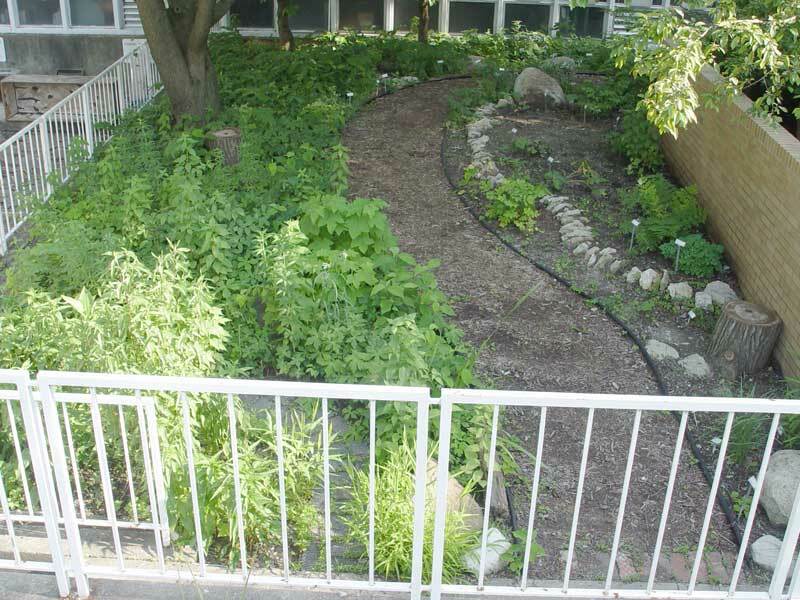 The garden space between the sidewalk and greenhouse widens to the east. 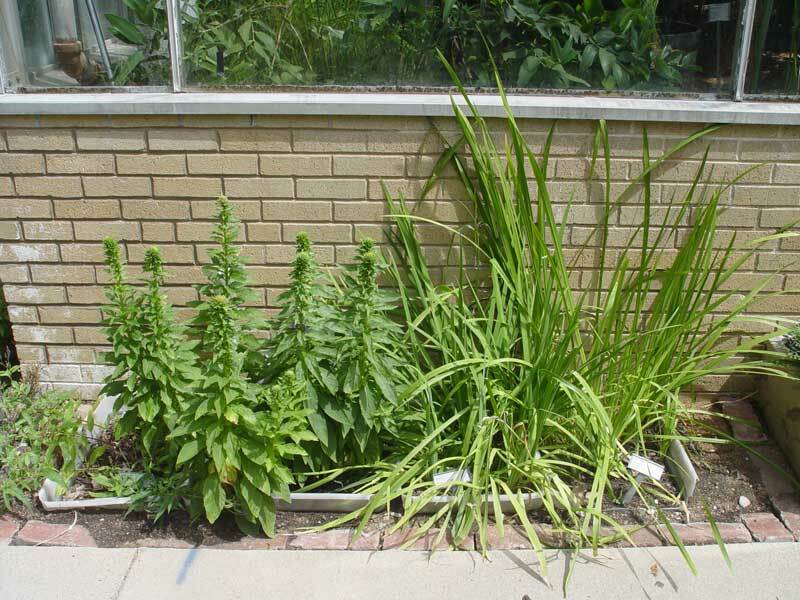 A series of three full-sun garden areas separated by unusual brick borders host a variety of plants that can tolerate hot, dry environments. 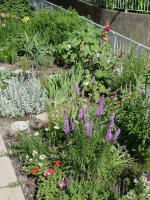 Native prairie plants and a small herb garden fill two of these spaces. 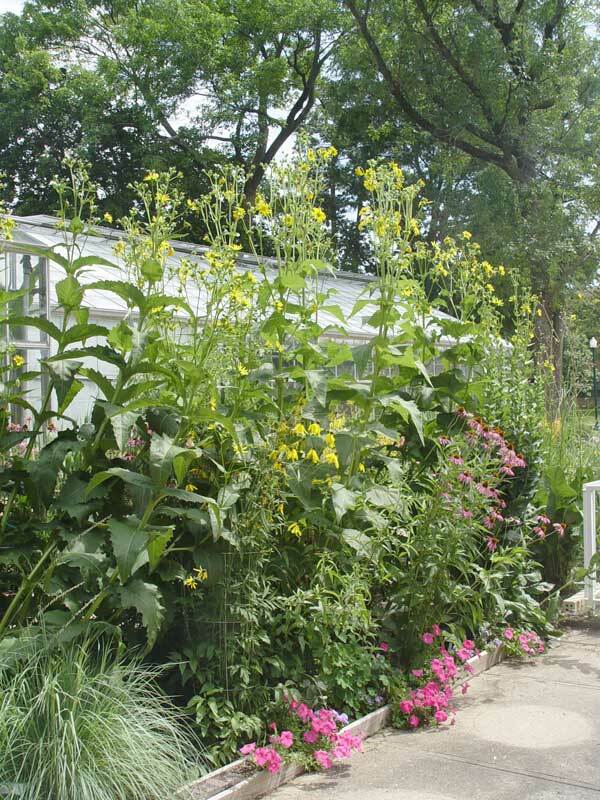 On the far eastern end is the 'garden of misfit plants.' 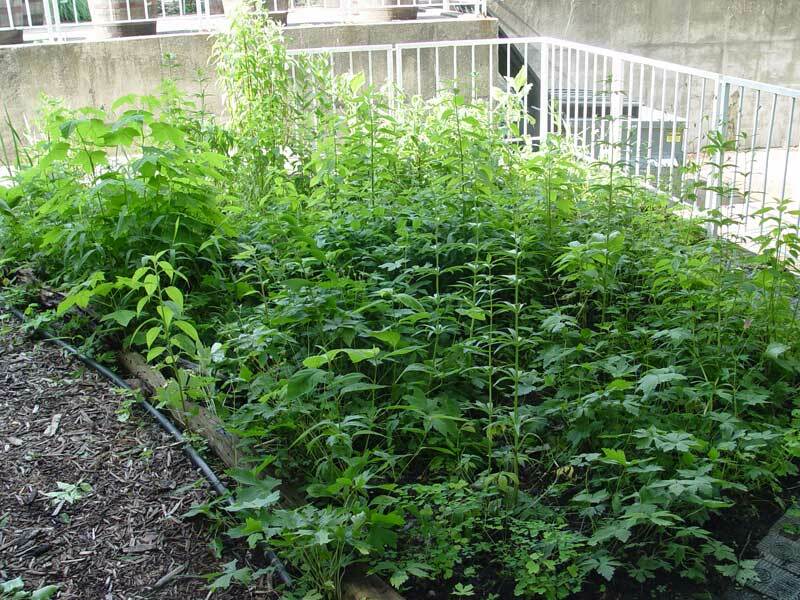 These orphaned plants are only temporarily misfits and will soon find homes in other garden areas. For Rest Break. 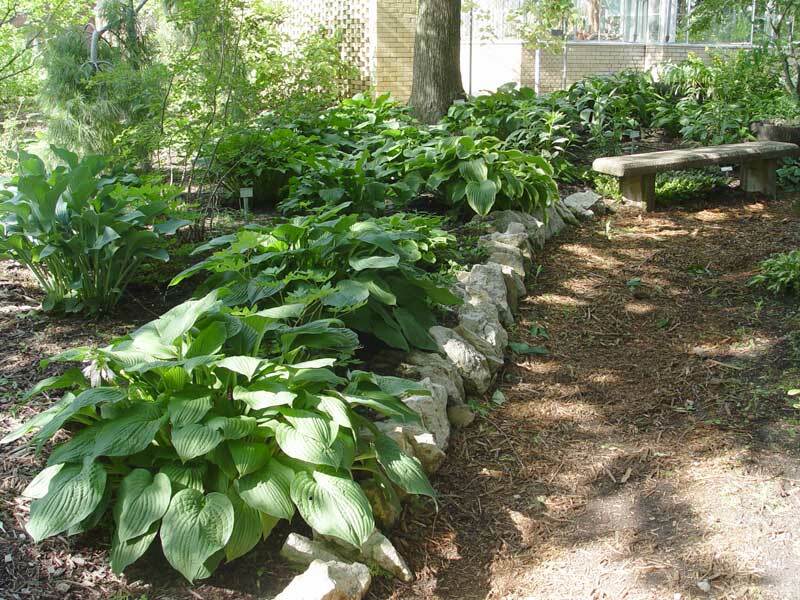 Hostas, hostas, hostas. 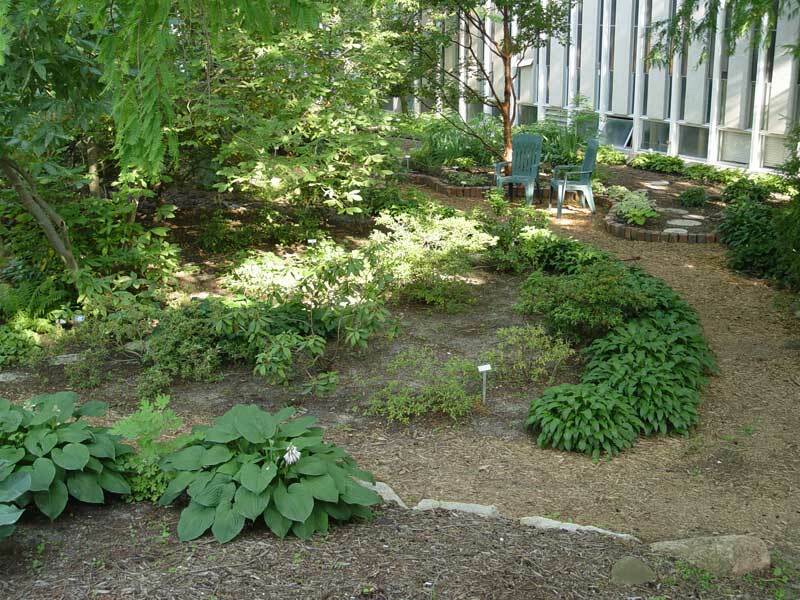 A full-shade garden under the branches of a large Bald Cypress is populated by various hosta cultivars. BIG Hostas. 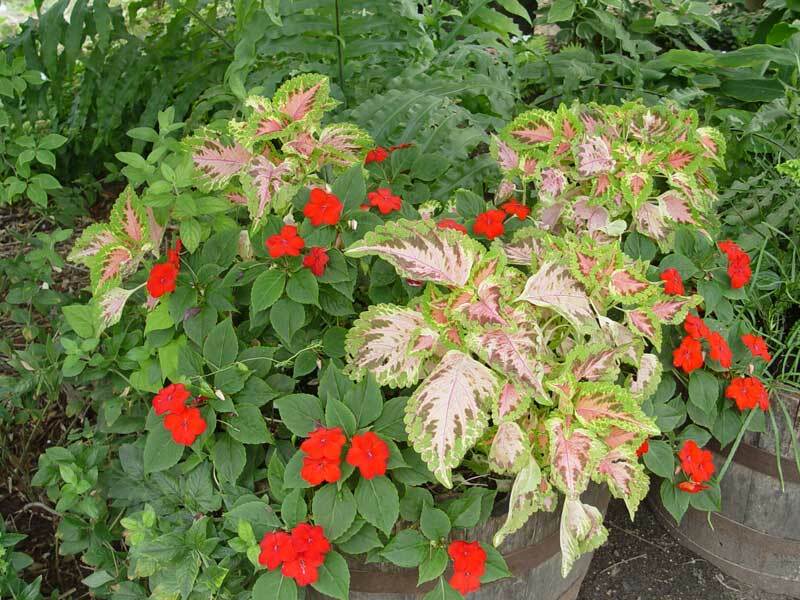 Other shade-loving perennials distributed throughout this area complement the host of hostas. 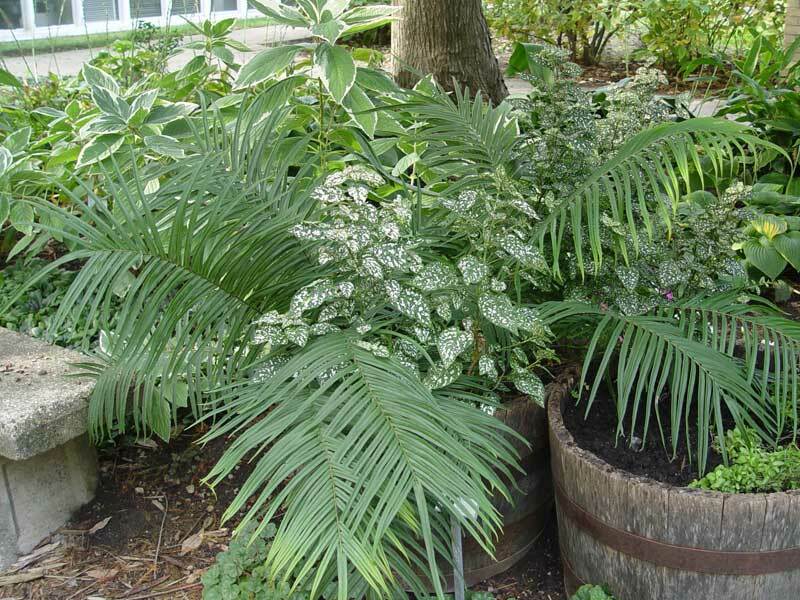 Shade-loving annuals and ferns tumble from a series of whiskey barrel planters sitting peacefully along the north and south borders. 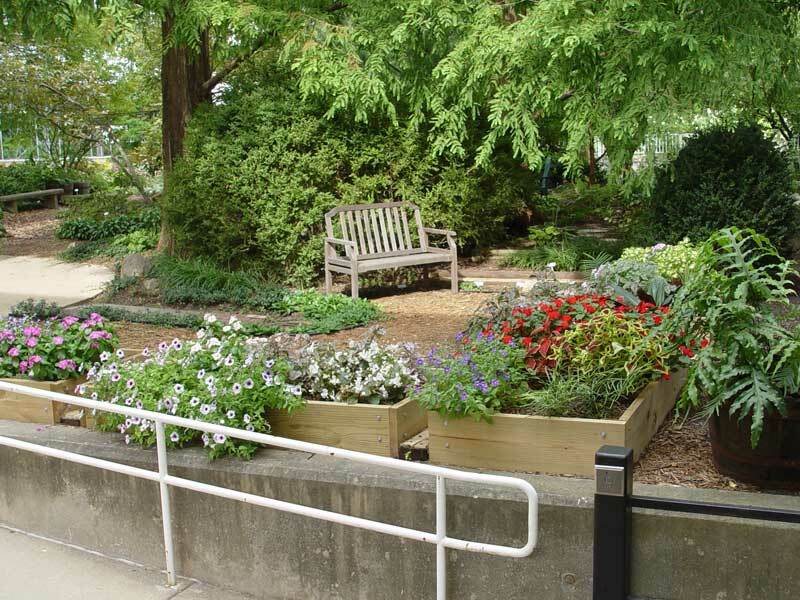 Two concrete benches on either side of a cypress mulch pathway provide a shaded rest area for garden visitors. 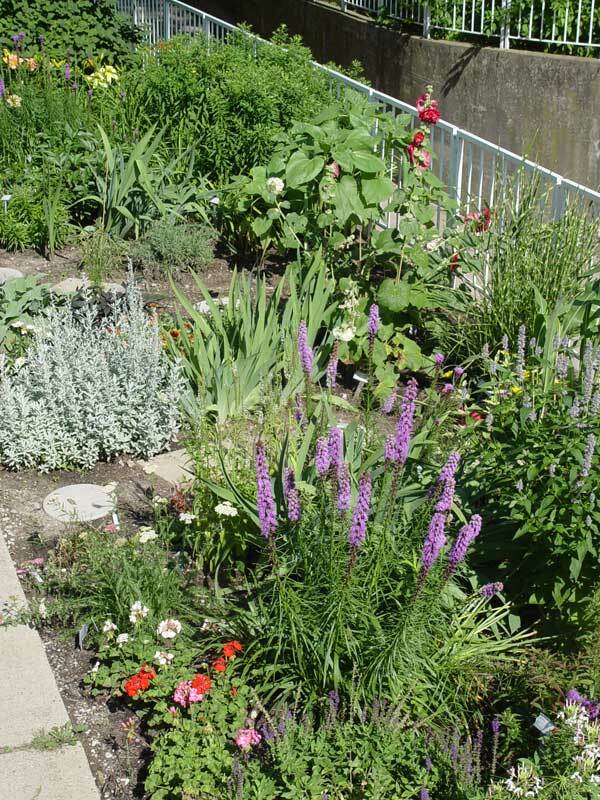 Locally quarried limestone boulders form the southern edge of this raised-bed garden. Wandering Grin. 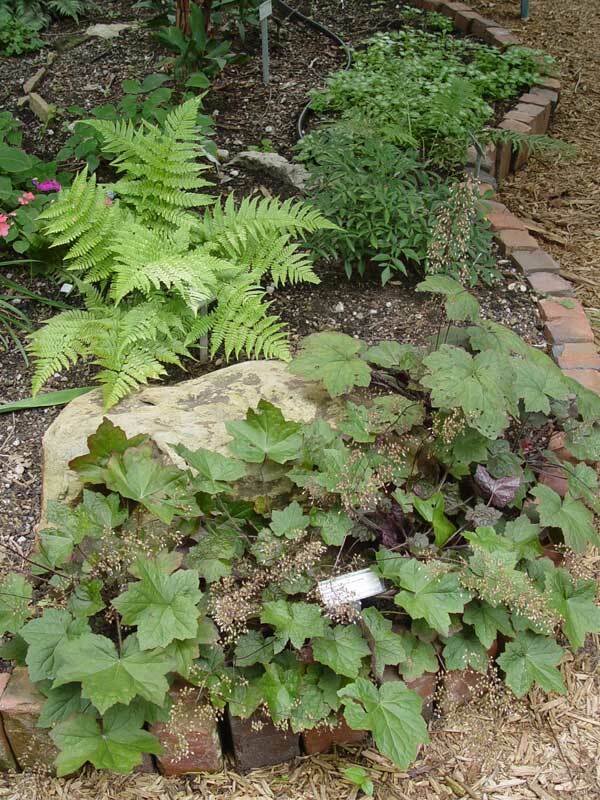 Succulents and partial-shade plants grow along the west side of a short pathway of large, round pavers embedded in hardwood mulch. 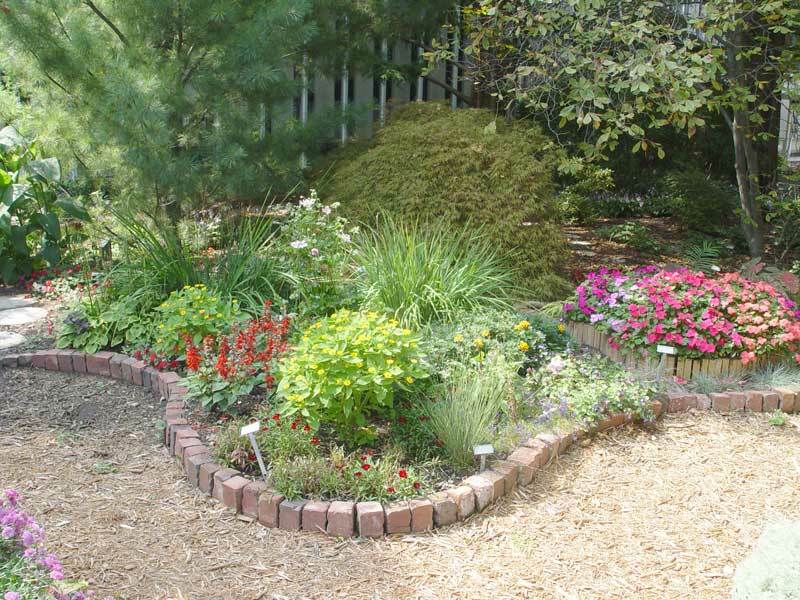 The raised-bed succulent garden is surrounded by an antique, locally-produced soft, un-fired red brick border. A matching brick border accents the east edge of the winding pathway. 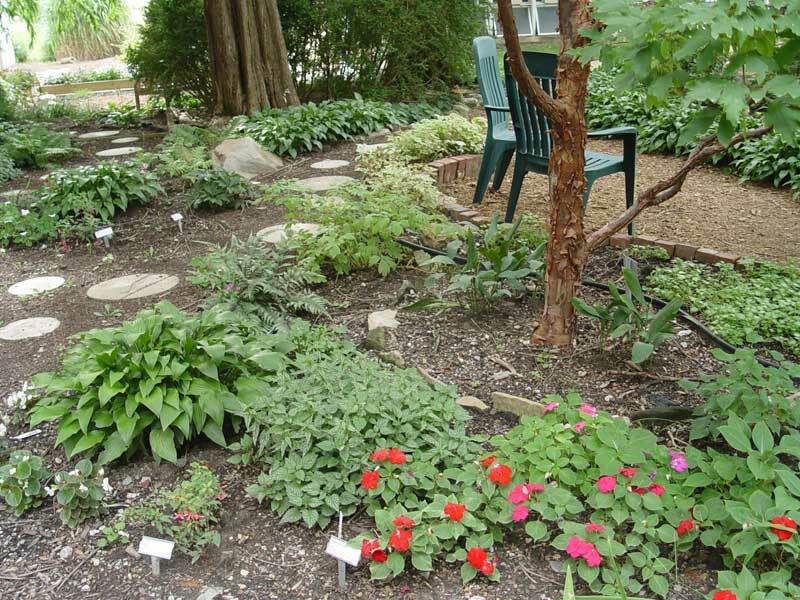 East of the pathway is a population of shrubs, trees, herbaceous perennials and annuals. 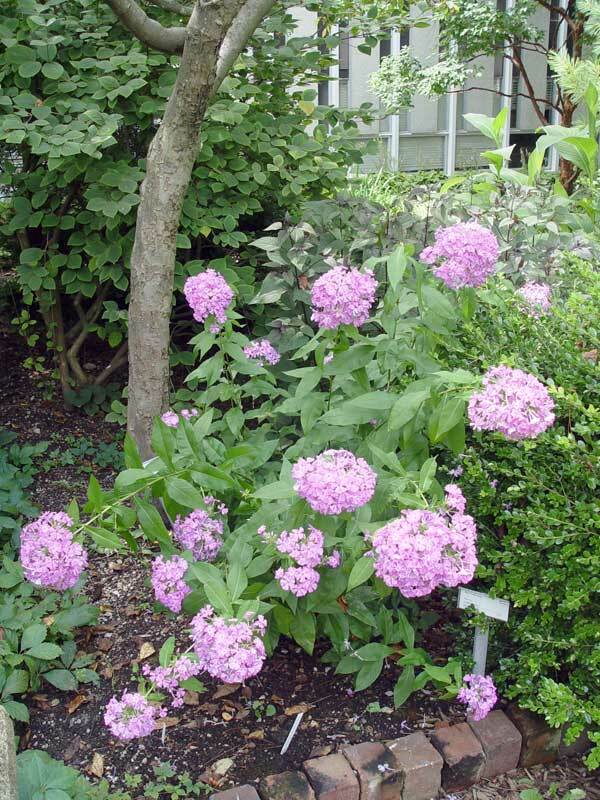 The southern portion of this garden is terraced with native limestone boulders from a local quarry and a perennial and annual flower mixture ensures long-lasting color throughout the season. Two whiskey barrels support cattails and bulrushes. A concrete bench at the southern tip of the garden is waiting for visitors to rest upon while enjoying the garden ambiance. Local Focal. You must be at least three feet tall to grow here. 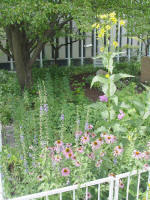 This full-sun native garden barely contains a diverse collection of tall prairie flowers and grasses. 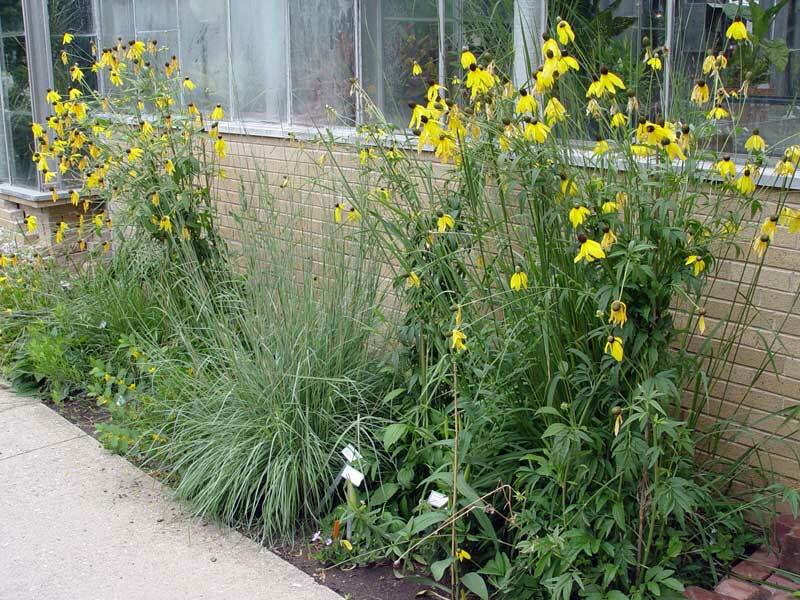 Along the north side of the garden, rowdy prairie plants are kept from attacking pedestrians by a split-rail fence offset a short distance from the sidewalk. 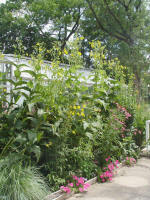 North of the fence is a narrow band of partial-shade annuals to brighten and soften the garden edge. 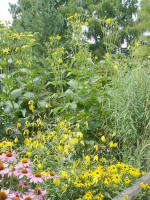 A bright, yellow brick border flows along the sidewalk and curves around the western edge, providing a colorful accent. 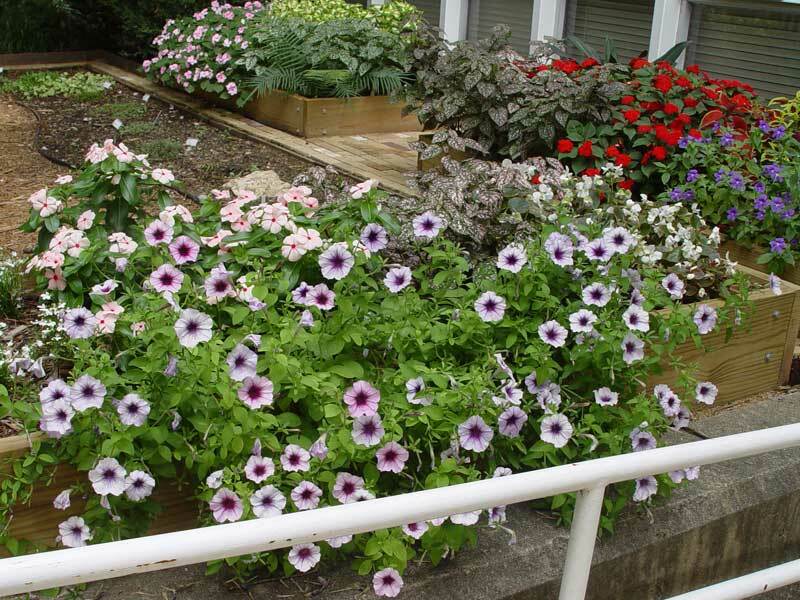 Along the south side is a very narrow raised bed overflowing with multi-colored full-sun annuals during mid to late summer. One finger of the "Two Fingers Trail" enters from the northeast corner. 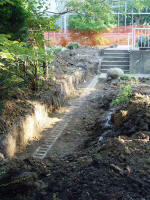 After winding through the garden, the pathway exits near the southwest corner. The other trail finger travels eastward through the adjacent garden. Urban Drawl. 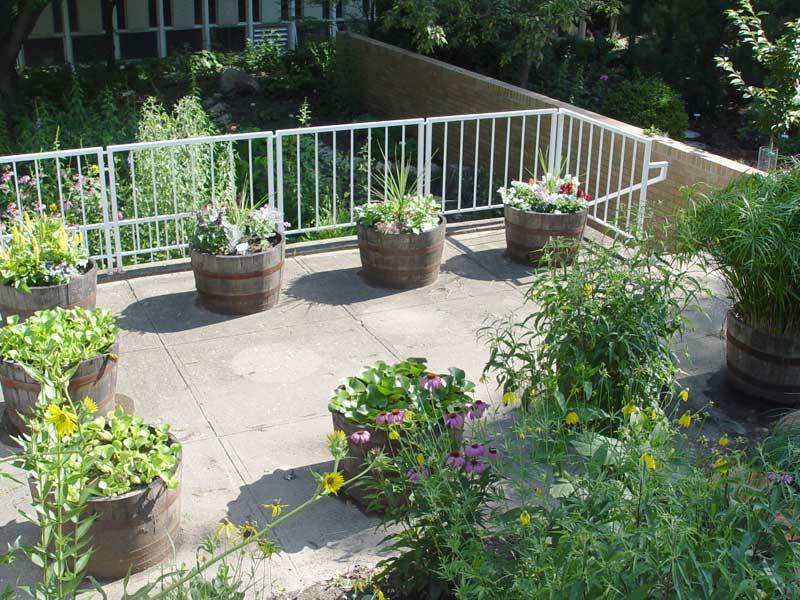 A series of whiskey barrel gardens rise abruptly from the concrete pavement south of the tall native prairie garden. 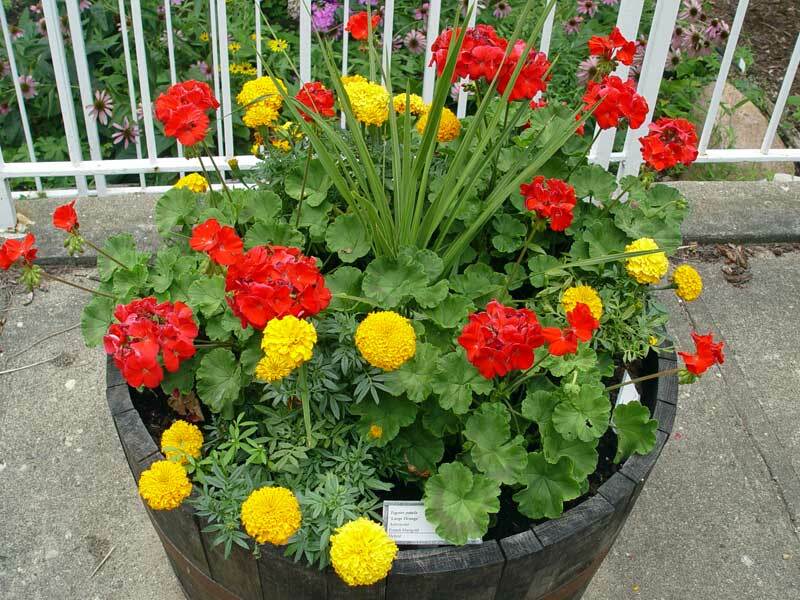 These barrels contain arrangements of full-sun annuals and aquatic perennials. Full Stun. 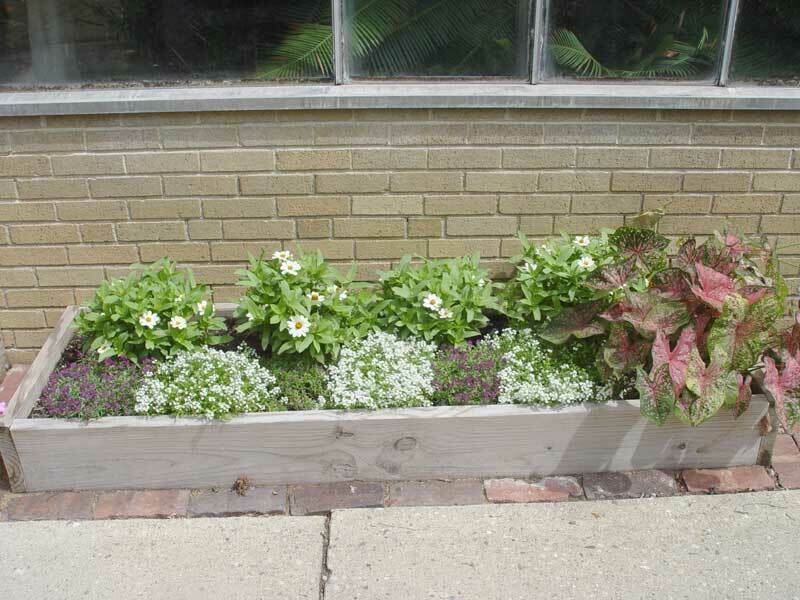 Along the south side of the sidewalk are a series of full-sun garden areas containing a selection of perennial and annual plants. 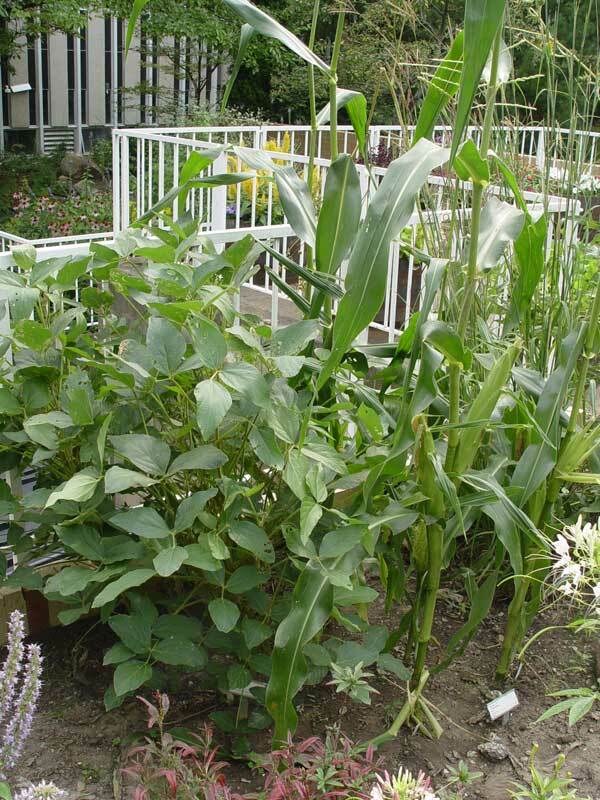 Short pathways bordering the individual areas allow access into each garden. A line of colorful red and yellow bricks form a border along the south edge. 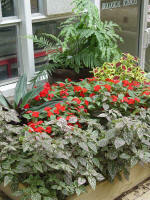 Each garden area will have its own personality as development continues. Note to self: Rabbits eat soybeans and squirrels eat field corn. Bahhh. Dendron Road. 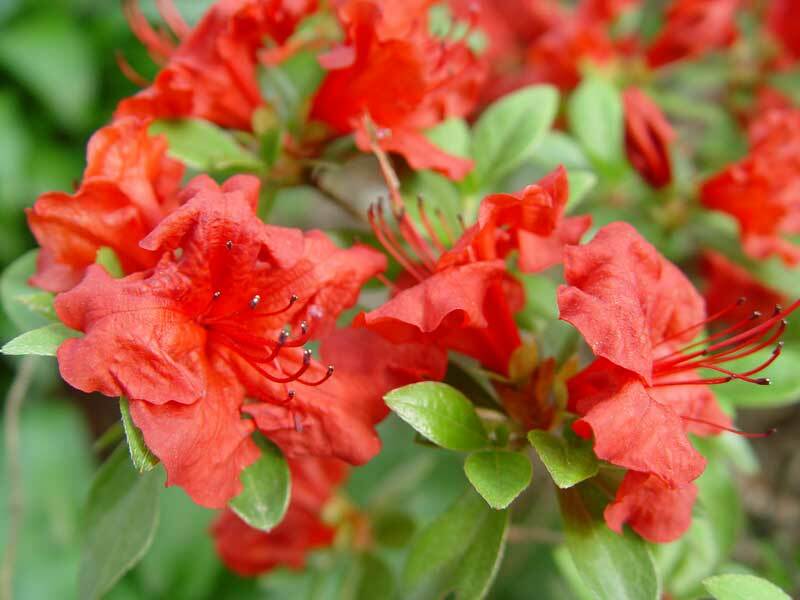 Various rhododendron provide long-lasting flower color from early spring to mid summer in this full-shade garden. A pathway meandering through the middle of this garden separates azaleas and rhododendron from another garden area protecting deep-shade plants from the blazing summer sun. 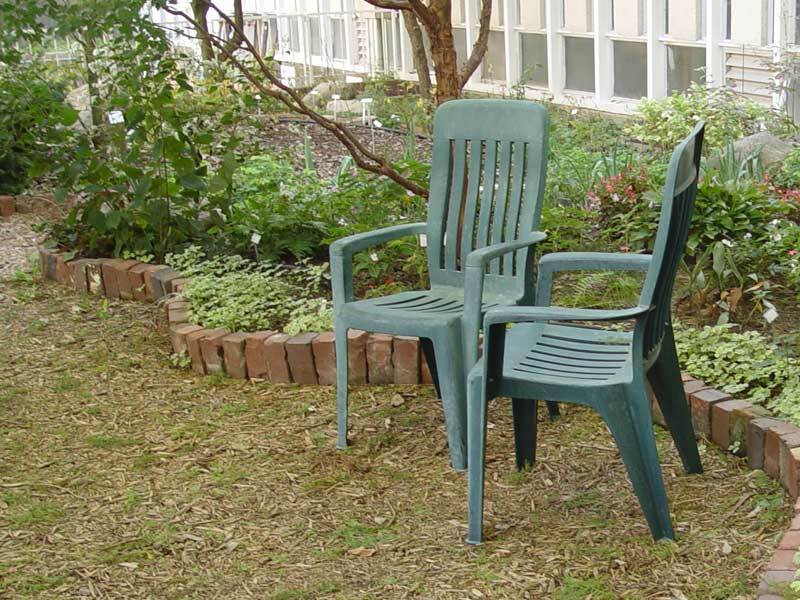 An area on the south side allows visitors to bring their own chairs to enjoy the view. Twisted Trail. 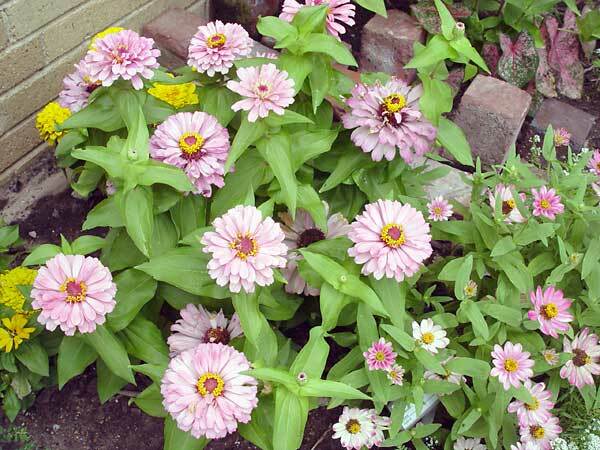 A variety of partial-shade to full-shade micro-gardens are home to annuals and perennials, shrubs and trees. 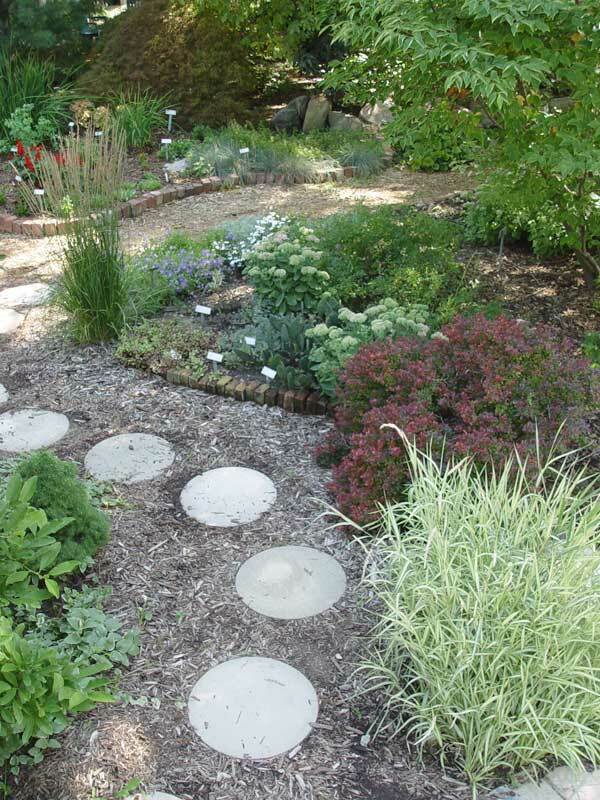 The garden is split by a short pathway made from large, round concrete pavers. A tall brick wall forms a backdrop on the east side and bands of antique road bricks form borders around these small gardens. 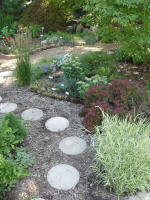 Adjoining cypress mulch pathways provide easy and pleasant access to these gardens. Sweat Equity. 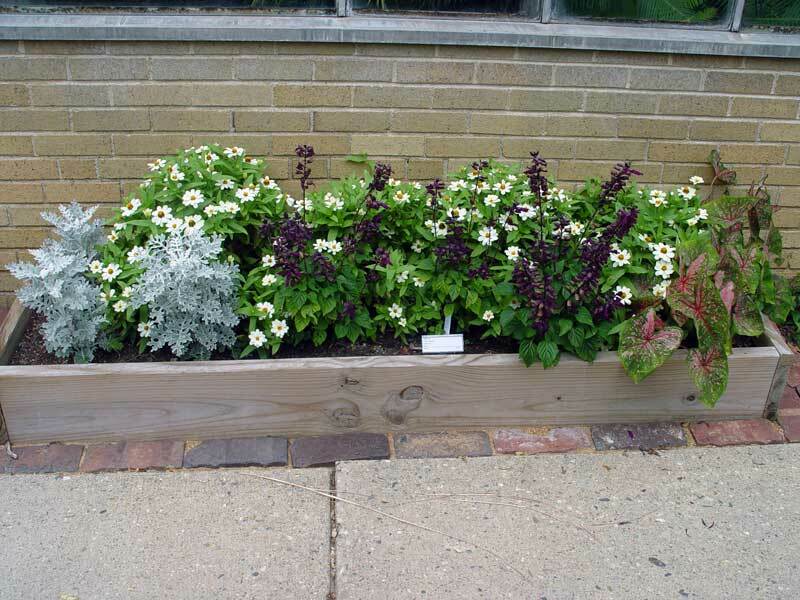 Solid, dense, hard-pack clay and gravel under this area required installation of four raised beds to display a variety of partial-shade annuals. After some seriously hard diggin' to replace clay and gravel with compost in the ground in front of the raised beds, numerous ground covers battle each other in their own little turf wars. Made in the Shade. 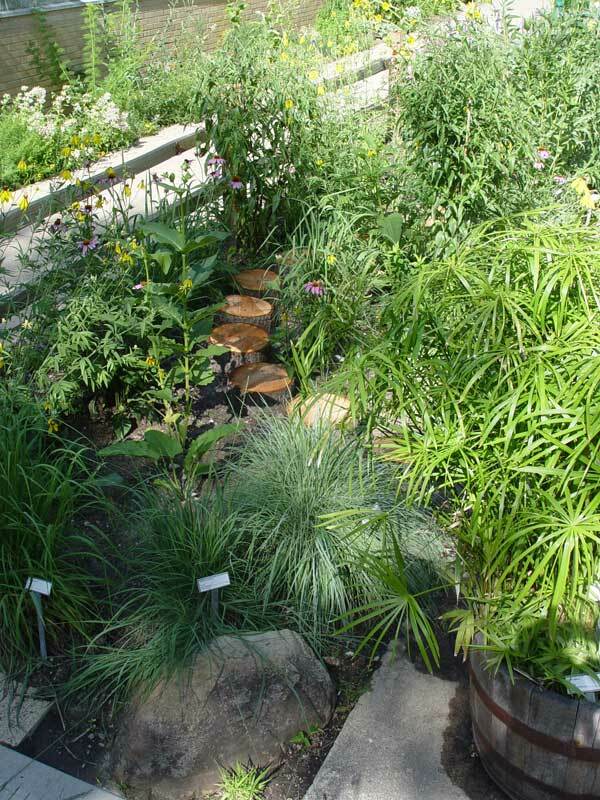 A variety of ferns, foliage plants and colorful annuals grow in this full-shade garden under the spreading arms of two towering Dawn Redwood trees. 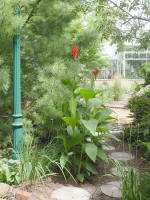 A narrow footpath winding through the garden provides access to the various plants. Between the Dawn Redwood trees is "Fern Valley" where a full complement of ferns cover the ground under a group of ancient, tall boxwood that envelop a quiet pool of yellow bricks. 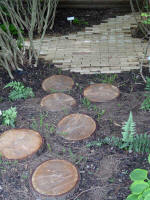 A cypress mulch pathway surrounds the garden and a dark red line of old road bricks form a meandering northern border. Local Shady Characters. The native shade garden provides a variety of habitats for local plants. 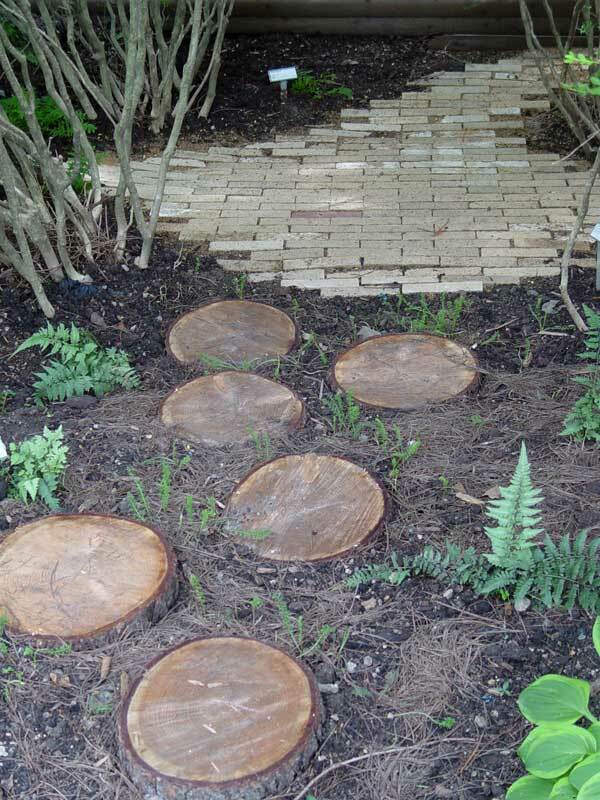 A broad hardwood mulch pathway curving through the garden provides easy access. On the eastern and southern side of the pathway are natural areas divided into four different environments. 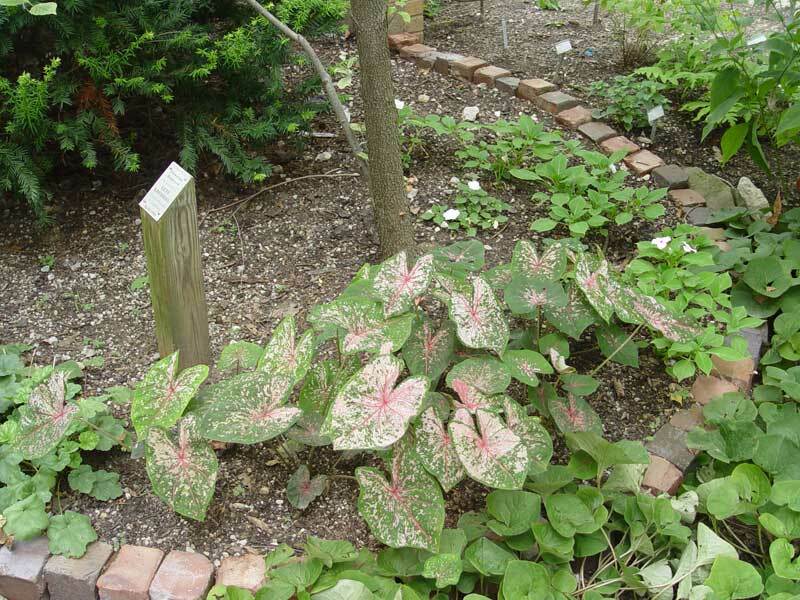 Along the south, under several dogwood trees is a moist shade garden. 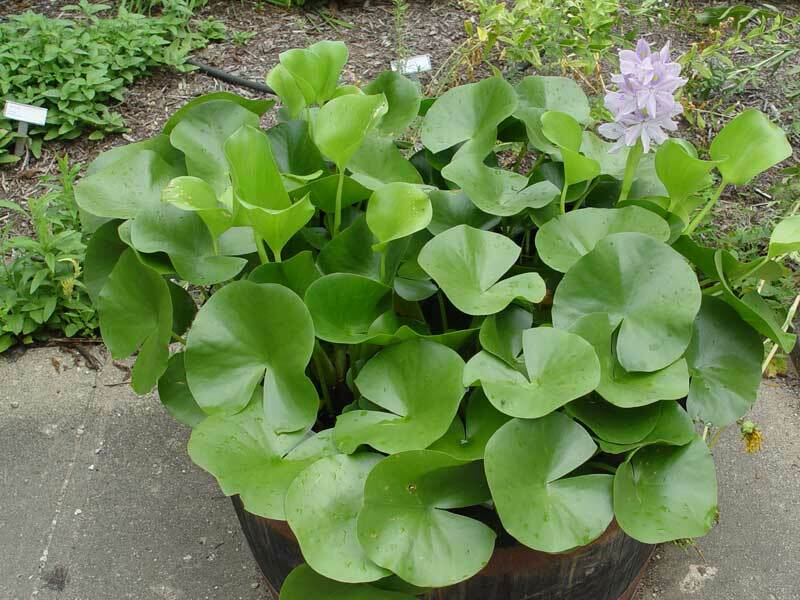 Old bathtubs and other containers buried in the ground provide wet conditions for a number of plants. 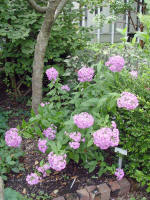 A border made from local limestone boulders in the southeast corner separates this area from the adjacent garden area. 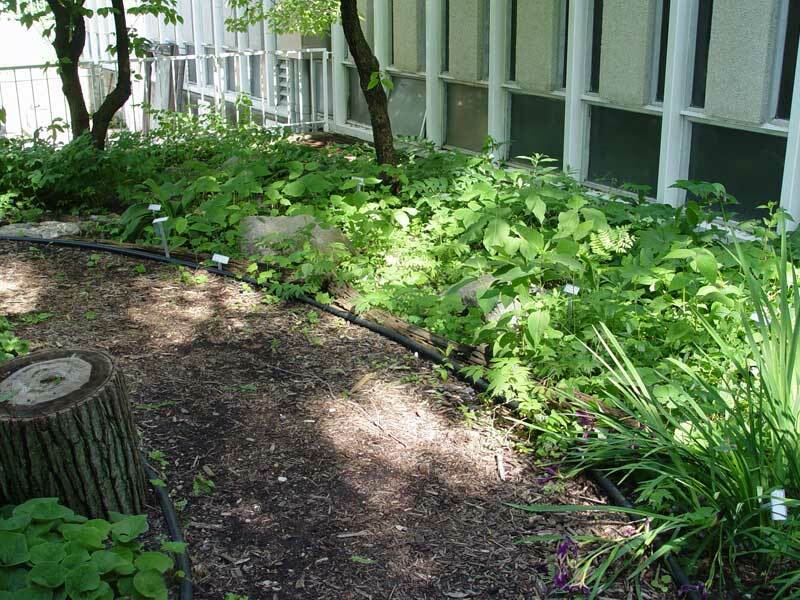 On the east side, directly under a Bradford Pear tree is a dry shade garden. A narrow pathway made from antique sidewalk bricks runs along its northern edge. Inside the brick pathway is a group of low-growing forest-margin plants. 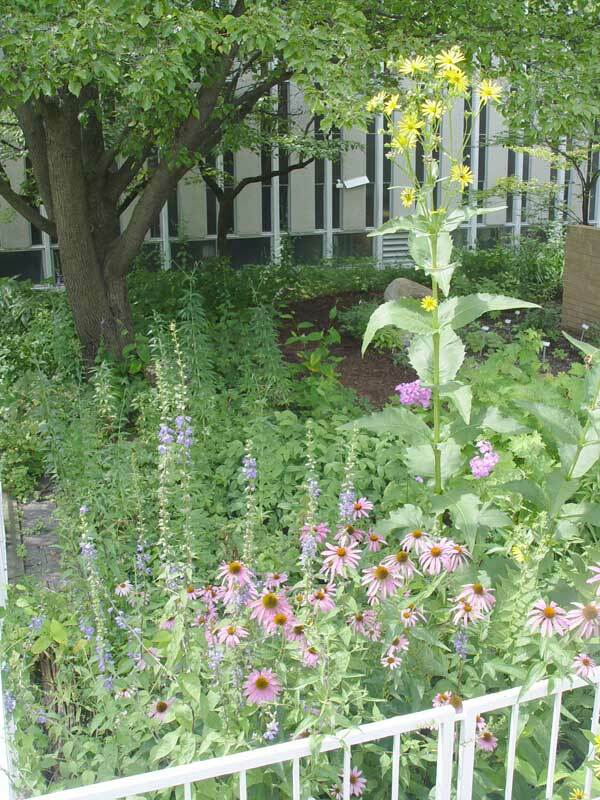 Immediately to the north is a forest-margin garden area for taller native plants. 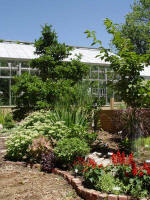 On the west side of the main pathway is a raised bed specimen plant garden bordered by native limestone rocks. 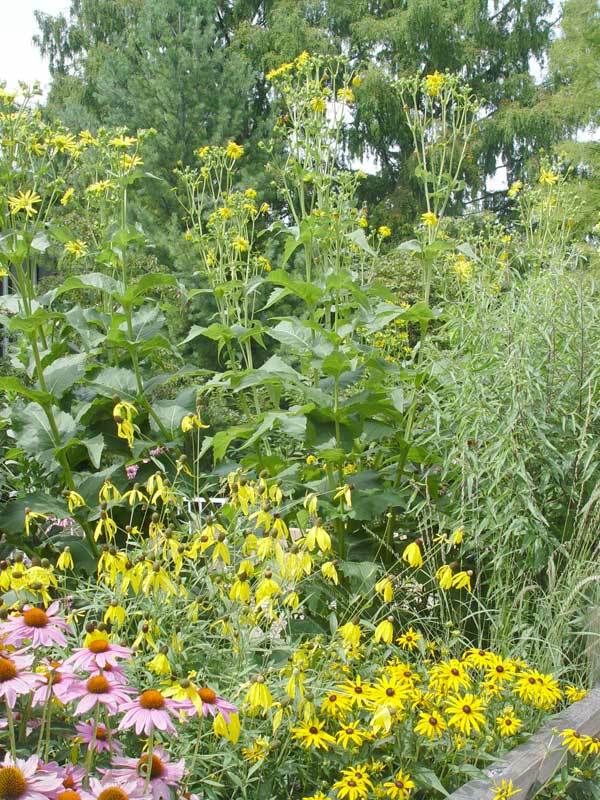 A narrow garden strip between the raised bed and pathway presents another assortment of native shade plants. 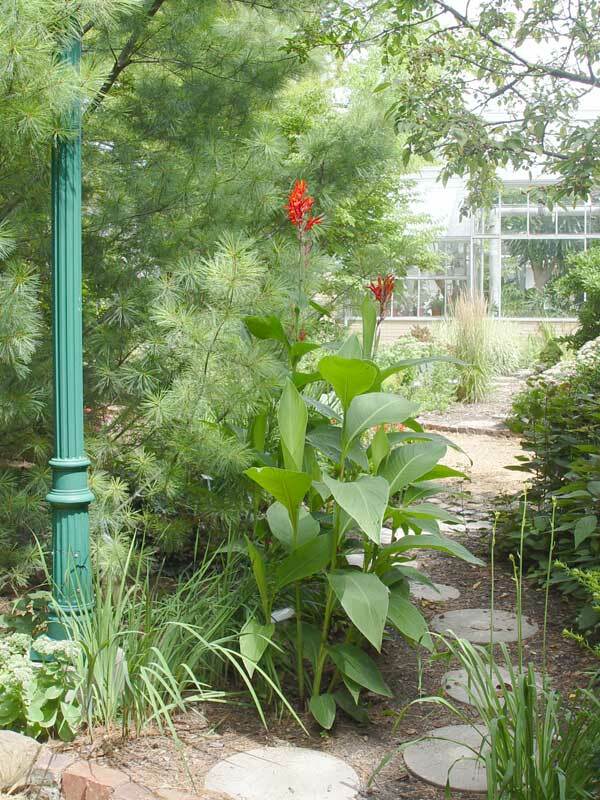 Specimen plants on the west side of the pathway are labeled to help visitors identify plants in the adjacent garden. Most of the plants on the east side are not labeled to maintain more natural woodland settings. A Midsummer's Night Wall. A brick wall runs north-south through the gardens, serving as a retaining wall and design element. The wall finally succumbed to old age in 2007 and was quickly replaced. 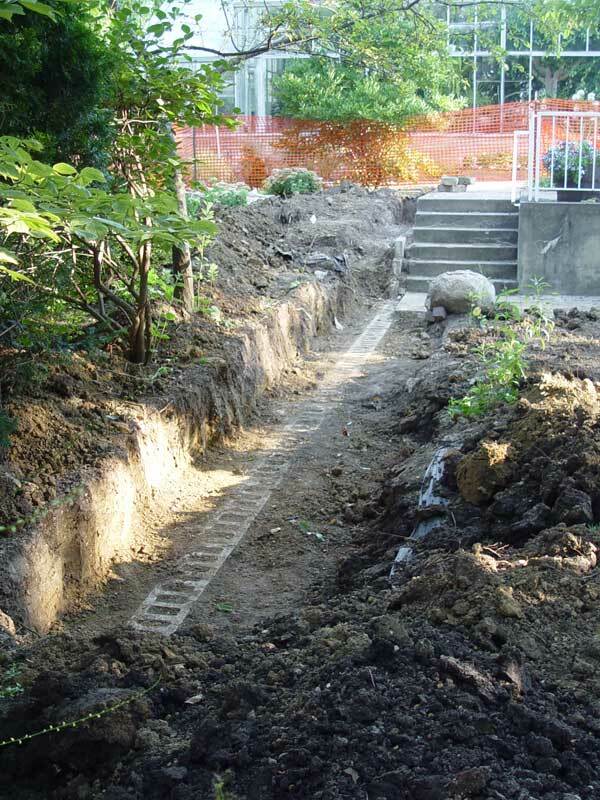 Its replacement required removing most of the plants in the adjacent gardens and digging down to the wall's foundation. 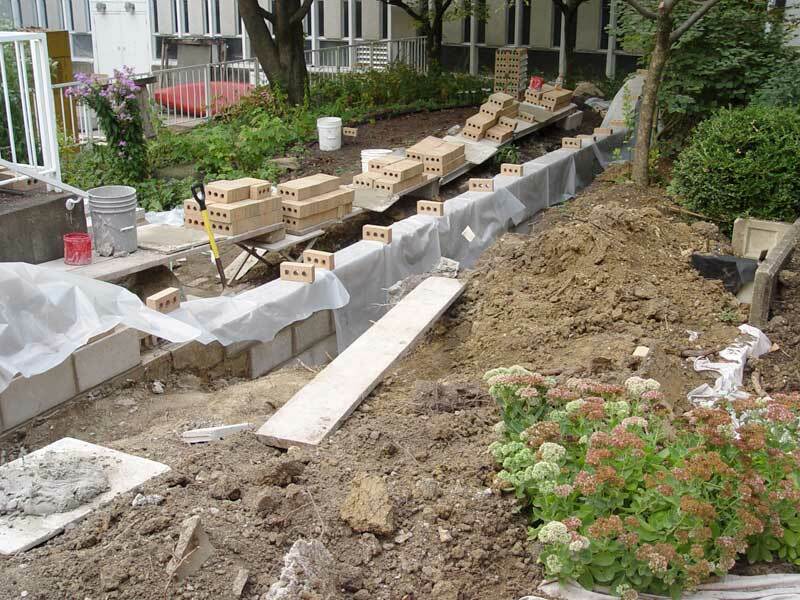 After the wall was replaced, the two gardens were rebuilt and are now better than ever! 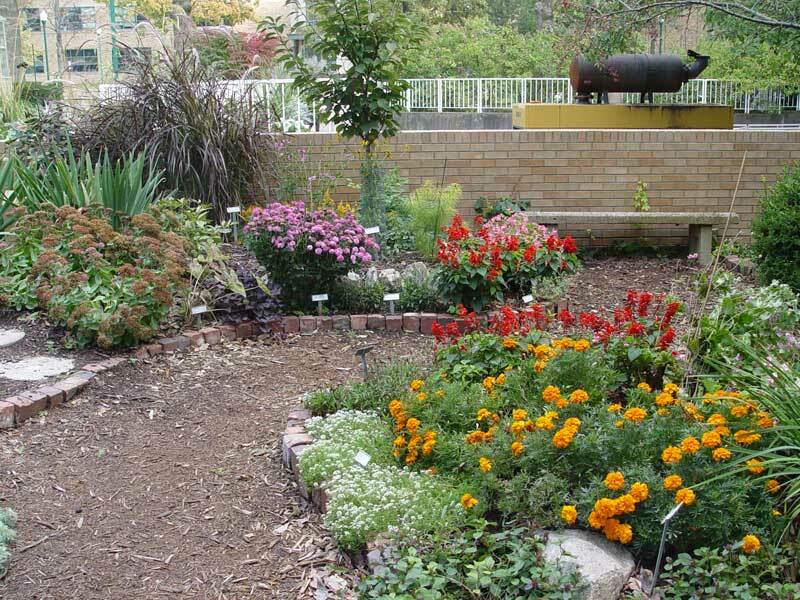 Many of the old bricks were recycled and used as design elements in other garden areas. During replacement... What a MESS! ...and after. Much, Much Better! Here's where many of the old yellow bricks went.